Reader Girls Blog: Black Dawn Book Release Celebration: Giveaway! Black Dawn Book Release Celebration: Giveaway! Claire. Shane. Eve. Michael. Many YA fans, especially those who enjoy vampire books, will know these names. 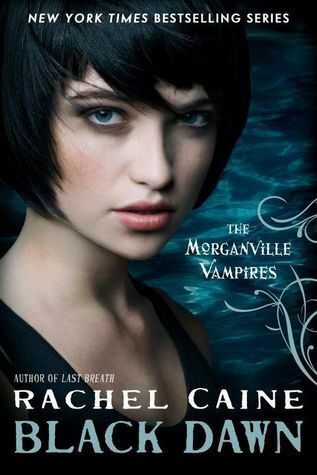 They are the main characters in Rachel Caine's The Morganville Vampires series. To celebrate the release of book #12, Black Dawn, the wonderful people at NAL/Penguin Group USA will give one reader one copy of GLASS HOUSES, the book which began this unforgettable series, and a bookmark of BLACK DAWN. Blurb: From the author of the popular Weather Warden series comes the debut of an exciting new series set in Morganville, Texas, where you would be well advised to avoid being out after dark. To win a copy of Glass Houses and a Black Dawn bookmark, leave a comment below and tell us your favorite part or character from The Morganville Vampires series, and if you haven't read the books yet, tell us what you like about vampires in general. Our giveaway is open internationally and ends on May 1. Blurb: In Last Breath, the rain brought a new and dire threat to Morganville and its vampires... their ancient enemies, the draug. 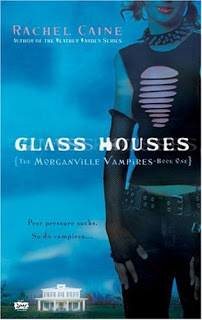 Now, the vampires are fighting a losing war, and it will fall to the residents of the Glass House: Michael, Eve, Shane and Claire, to take the fight to an enemy who threatens to destroy the town, forever. Lovers of Morganville, rejoice: Black Dawn takes the intrigue, romance and nail-biting suspense of the series to its highest level yet! Join in the celebration of all things Morganville by visiting these participating blogs below. Reader Girls thank NAL/Penguin Group USA. I have not read any of this series yes. I know I am behind. I would like to start reading this series though. I would love to read Book 1. My favorite thing about vampires is the danger surrounding them. Shane hands down is my favorite! I love that he hates Vampires and his best friend is one. I think he is at hot as sin! Love him! I loved the first few books, but then I didn't get to read on. I'd love to keep reading. It was a fun series. Shane is my favorite by far. He is extremely loyal and totally badass at the same time. It also helps that he is hot! Myrnin is my favorite. He cracks me up. You never know when he's going to slip into the deep end of crazy. I would just love to get to read this series!!! I have to say that I'm fascinated by the lore & mystique of the vampire, it's such an exotic supernatural creature. From Dracula to Lestat, I've always enjoyed reading about vampires. Shane FTW! Handsome, funny and protective :)woooo! Thanks for the giveaway! I haven't read the series but I do like the dangers of the vampire worlds. I haven't read the series but now I really NEED to!! I love the idea of a town of vampires. I love the vampire lore in all the books, how they're sometimes really lethal and other times tamer but so philosophical. I haven't read the series, but what I like about vampires is they are usually mysterious! I love the mystery of vampires! I haven't read any yet, shame on me! I like vampires because they are usually very smooth and mysterious. I haven't started reading the series yet but I have heard so many great things about it I would love to start!! !